It’s the person inside the overalls that makes DRB the family that it is. 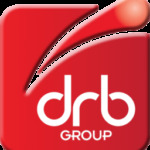 DRB asks that all its people, contractors, suppliers, and clients understand and work to our values: ​pride, respect, and ownership​. We encourage our people to apply our values in their day-to-day business activities and to be aware of their individual impact on the company’s reputation and continued success. Actions speak louder than words. We actively support local charities with our own fundraising efforts, as well as attending charity-organised events. We also support our team when they take part in personal challenges like competing in the world transplant games, becoming STEM ambassadors, or taking part in charity bike rides. Book a tour of our 6.5-acre workshop to see the breadth of our operations and meet the people inside the overalls.